When our Big White Yeti gets sleepy, where else would he want to sleep than in a lush lavender patch. Recreate his peaceful experience with our 6 ounce lavender soy candle. But please, don't actually fall asleep while it's burning. The Yeti's buddy once told us, "only you can prevent forest fires". This candle is hand poured and contains all natural everything- pure soy wax, a cotton wick, undiluted fragrance and essential oil. Soy burns remarkably clean and long- expect the 6oz tin to burn for 25 – 30 hours and the 8oz frosted glass jar to burn for 35-45 hours. And when it’s gone, simply clean out the tin or jar with hot soapy water and repurpose it around your home. BWY are by far the most superior candles. The beautiful scents are strong & they burn clean. Lavender Patch is my favorite! Gonna have to get a larger one of this! Breathtaking!!! 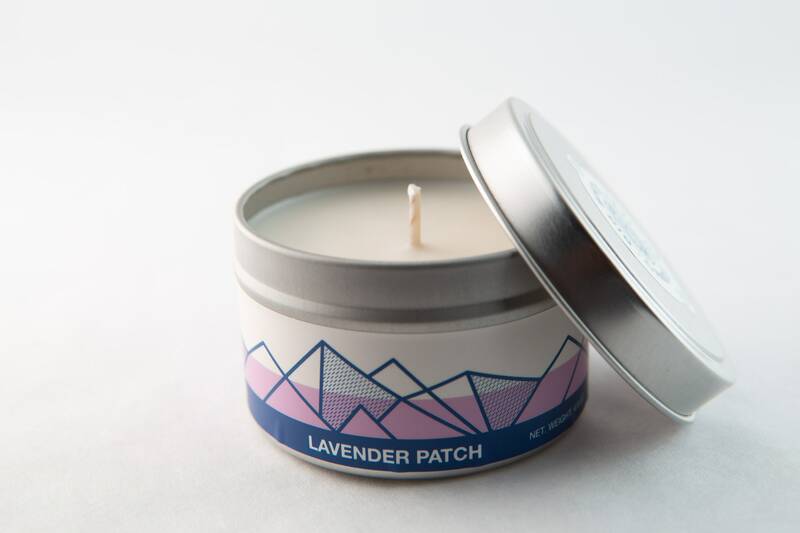 The Lavender Patch candle is by far the best lavender scented candle I have ever smelled! Kitten Toots smells lovely cold and I can't wait to light it, as well as the generous sample of Kiddie Cocktail. 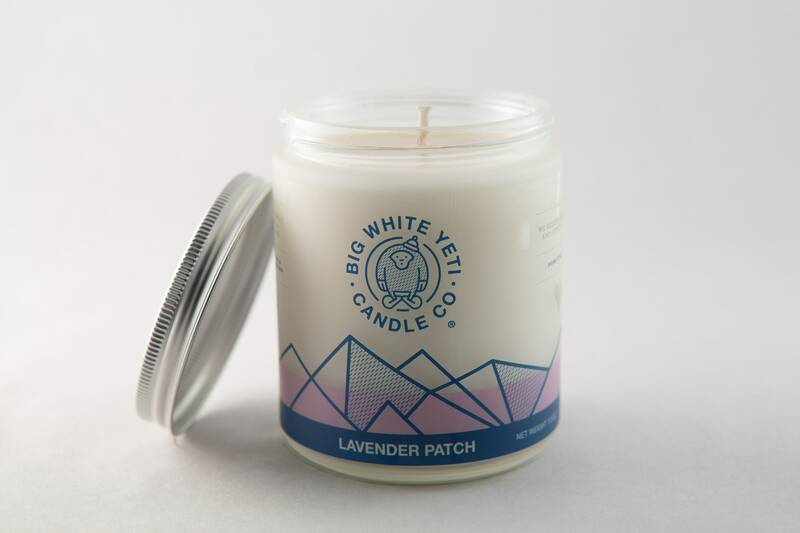 I look forward to trying many more candles from Big White Yeti. Thanks, Katie and Cody! Do yourself a favor and read the scents' descriptions while browsing the shop. 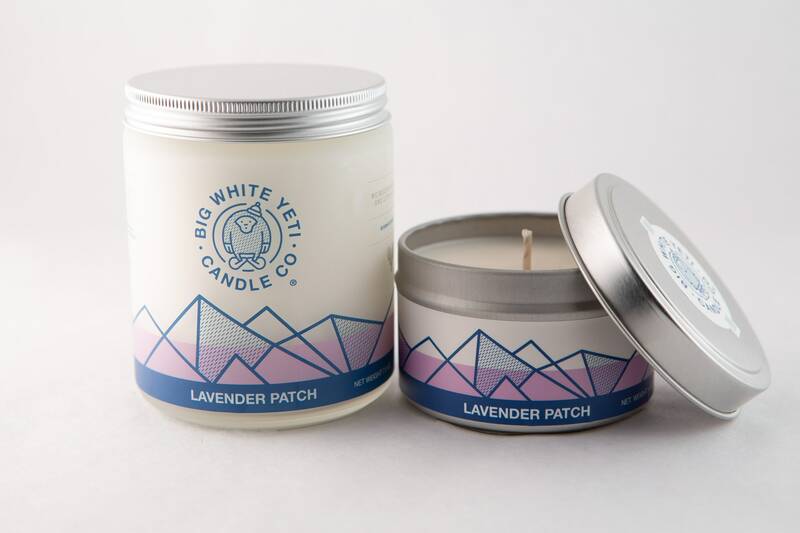 :) I purchased the lavender candle as a Father's Day gift primarily because my dad is intrigued by Yeti lore. Love at first sniff! Lavender is such a soothing scent and the candle smells really truly lovely. Dad has a difficult time relaxing and falling to sleep and I know he will love the soothing smell of Lavender. ALSO, I got an extra tin of the Mountain Man for free and I am in love. Beautiful scent! I have favorited BigWhiteYeti and will definitely re-order. I'm a big fan of this candle. I kept ordering it for myself as well as giving it out to my friends as presents. Everybody loved it! Besides this one, I also love the Black Coffee, Sweater Weather, and Birds and the Bees. Also, the shop owner, Katie and Cody, are super nice too. I <3 BigWhiteYeti!